"African kingdoms" redirects here. For the video game, see Age of Empires II: The African Kingdoms. A map of Africa showing the continent's political systems: three monarchies (in red) and republics (in blue). 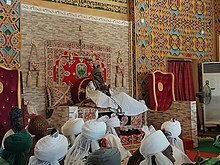 There are several monarchies in Africa, defined as either actually or nominally self-governing states, territories, or nations on the continent of Africa where supreme power resides with an individual who is recognized as the head of state. All are similar in that the sovereign inherits their office and typically keeps it until their death or until their abdication. However, only three are currently sovereign, while the remaining are sub-national monarchies. Two of these are constitutional monarchies (Lesotho and Morocco), in which the sovereign is bound by laws and customs in the exercise of his or her powers, and one is an absolute monarchy (Eswatini), in which the sovereign rules without bounds. The sub-national monarchies are not sovereign, and exist within larger political associations. In addition to these, there are also three dependencies of two European monarchies. A Queen Mother in Africa. The need for an identity prompted the early settlements of West Africa and the largely nomadic community in North Africa to form states as they had the capacity, due to the trans-Saharan trade, to support formal establishments. In response to this, a strong leadership with authority developed to meet the need for them. This explains the emergence of the monarchy of Mali in the 1200s, a political system which was pioneered by Sundjata Keita. Kingdoms of Takrur in Senegal and Kanem on the banks of the Lake Chad were also founded. Apart from this indigenous development of kingdoms in Africa that happened in relative isolation, other monarchies came to be established with foreign interventions. One such intervention was by Rome in North Africa. The Kingdom of Numidia (in what is present-day Algeria) came to be established around 200 BC with Masinissa as the first king; he was one of the many kings who headed large indigenous communities in the North African coastal belt who had exploited the trans-Saharan trade route for their sustenance. With the tacit strategic support of Rome, Masinissa took control of all the nomadic communities and had them crown him king. To exercise rights as a king or queen in most cases, the monarchs in Africa created superiority myths through rituals and symbolism, practices that were intended to encourage their being seen as mediators between the gods and the people. They placed themselves in a privileged position above the common man by doing so, and brought about a feeling among people that they represented peoples' interests and were above favoritism and prejudices. Monarchical privileges were established in the form of sovereign rights and prerogatives by way of regal costumes, ornamented crowns, jewelry, personal weaponry, and armaments. They established special thrones or golden stools, and commissioned the building of shrines for their ancestors, as was the case of the Lozi people of Zambia. Kingdom of Eswatini Absolute Hereditary and elective Dlamini King Mswati III 19 April 1968 51 y. 25 April 1986 None; king cannot appoint his successor. Lesotho, an enclave of South Africa, is a constitutional elective monarchy. The current monarchy was established in 1824 when Moshoeshoe I, a tribal chieftain, united warring tribes into the Basotho kingdom. After his death in 1870, the kingdom was placed under the nominal control of the neighboring British Cape Colony, but the native tribes engaged in a revolt and full British control was not established until 1884 under the name Basutoland. While under British control, the monarchy continued under the title of Paramount Chief with a moderate degree of autonomy, particularly in the rural areas. Formal independence was granted in 1966 and a constitutional monarchy was established. However, the democratically elected government was overthrown in 1970 by the Prime Minister in a self-coup. The monarchy was sidelined from then on, including a military government between 1986 and 1993, when democracy was restored. The current monarch, King Letsie III, ascended to the throne in 1996. Under the current constitution, passed in 1993, the King is a constitutional monarch and the head of state, with power being exercised by the Parliament. While in practice hereditary, the King is officially appointed by the College of Chiefs using traditional practices. The College of Chiefs also appoints a regent if one is needed. The Prime Minister also has the power to declare the kingship vacant if the King either violates his oath of office or is deemed unfit to rule. Morocco, located in the northwestern corner of Africa, has a long and established history dating back to antiquity. Originally Carthaginian, the territory was controlled by the Roman Empire, the Vandals, and the Byzantine Empire before falling under Arab control in the seventh century. During that time, the inhabitants of Morocco were known as Moors. After the Reconquista in 1492, the Moroccan state underwent a long period of decline before falling under dual French and Spanish control in 1912. Independence was achieved in 1956, with Sultan Mohammed ben Youssef taking the title of King Mohammed V. The present King, Mohammed VI, ascended to the throne in 1999. Under the current constitution, passed in 2011, Morocco is a constitutional monarchy though the King maintains a fair amount of power. He is the chair of the Superior Council of the Ulema, charged with maintaining Moroccan Islam, as well as Morocco's Supreme Court. The King is also an active member of the cabinet of Morocco, having the power to dismiss ministers as well as set the government agenda. He also chairs the Security Council, which oversees the military. Eswatini, in the southeastern corner of Africa, originated, like Lesotho, as a confederation of African tribes. However, it pre-dates Lesotho by approximately seventy-five years to the mid-eighteenth century. During that time period, chief Ngwane III of the Swazi people moved his tribe to their present location and united with other African tribes. Beginning in the 1830s, British traders and the Boers, Dutch settlers, interacted with the Swazi tribe. Eventually, the illiterate Swazi were duped into signing treaties which ceded their land to the Boer Republics, who assumed control in 1894. In 1902, after the Boer War, the British assumed control of Swaziland. It was not until 1967 that the Swazi regained control of internal affairs. Independence was granted the following year. For most of the colonial period, the Swazi were ruled by Sobhuza II, who became King upon independence. In 1973, Sobhuza abolished the democratic constitution put in place at the time of independence and declared himself the absolute ruler. Upon his death in 1982, Sobhuza had reigned for eighty-two years, the longest verified reign of any monarch. The present ruler, King Mswati III, became monarch in 1986. A new constitution was established in 1998 which allowed for some degree of democratic rule, but, in practice, Eswatini remains an absolute monarchy and the ability of citizens to participate in the political process is limited. The Canary Islands are an archipelago of thirteen islands located off the coast of Morocco. The islands were originally inhabited by the Guanche people, but were colonized by Queen Catherine of Castile. During the fifteenth century, they were controlled by Prince Henry the Navigator of Portugal, but Spain regained control in 1479. Spain completed its conquest of the islands in 1496 and used them as a port of western exploration. Due to their importance to Spanish trade, they were frequently attacked by pirates and privateers such as Sir Francis Drake in 1595. The islands were granted autonomy in 1982. As an autonomous community of Spain, the Canaries have a substantial degree of autonomy. The community government is organized as a parliamentary system with a President elected from amongst the members of Parliament. The community government has autonomy concerning a wide range of competencies, including over natural resources and tourism as well as a unique fiscal system. It shares power concerning agriculture and trade with the central government in Spain, and has the responsibility to oversee the implementation of actions taken by the central government in the competencies which the community government does not have autonomy. Each island also has a substantial degree of autonomy from the community government to control its own local affairs. Ceuta and Melilla are two cities on the northwestern coast of Africa bordering Morocco. Both were founded by the Carthaginians and later fell under successive Roman, Vandal, and Byzantine control before being conquered by the Arabs in the eighth century. Ceuta, in particular, served as the base for the Moorish conquest of Spain during that time period. In 1415, Ceuta was conquered by the Portuguese, with Melilla falling to the Spanish in 1497. When the kingdoms of Spain and Portugal united in 1580, Ceuta also came under Spanish control and has remained Spanish ever since. During the Spanish-Moroccan War, both cities gained additional territory to expand to the present boundaries. Autonomy was granted to both cities in 1995. Today, Morocco still claims that the two cities are part of Moroccan territory, which has created tension between the neighboring countries. Both cities' governments are parliamentary in nature, with an additional mayor-council system acting as the executive power. The cities have a wide degree of autonomy, with responsibility vested in the central government only in areas concerning communication and trade affairs. They both have fiscal autonomy which allows them to tax residents in order to fund many of the city services such as police. Saint Helena, Ascension and Tristan da Cunha is a British Overseas Territory in the Atlantic Ocean. It is ruled by Elizabeth II, Queen of Saint Helena, who is represented locally by a governor. Saint Helena was first discovered by a series of Portuguese explorers between 1602 and 1604. They built a number of structures upon it, and began to use it as a waystation, although they never constituted a permanent settlement. During the interregnum in England, the Honourable East India Company received a charter to govern the island from Oliver Cromwell. For close to two hundred years afterwards, Company rule was maintained by the British. It only came to an end in the early 1800s, upon which sovereignty passed to the British themselves. Ascension island was added to the territory in the 1920s, and Tristan da Cunha was likewise added to it in the following decade. A series of sub-national polities exist as constituencies of a number of the 52 remaining sovereign states of Africa. Traditional authority is vested in the monarchs of these constituencies by virtue of customary law as a general rule, although some of them also enjoy either a constitutional or a statutory recognition of their titles in the states that play host to them. Such figures as the Nigerian traditional rulers and the Zulu King of South Africa typify the class. The Ethiopian Empire is notable as an empire in continuous existence from the 13th to the 20th centuries, succumbing neither to the Islamic conquests nor to European colonialism. empires of the "transitional period" of the 15th to 19th centuries. kingdoms of Central and Southern Africa such as the Kongo Kingdom and the Mutapa Empire. The Merina Kingdom of Madagascar. ^ "The Kings of Africa: 18 Portraits by Daniel Laine". TwistedSifter. Retrieved 4 January 2016. ^ Mfonobong Nsehe. "The 5 Richest Kings In Africa - page 1". Forbes. Retrieved 4 January 2016. ^ Mfonobong Nsehe. "The 5 Richest Kings In Africa - page 2". Forbes. Retrieved 4 January 2016. ^ a b c John Middleton (1 June 2015). World Monarchies and Dynasties. Taylor & Francis. pp. 108–. ISBN 978-1-317-45157-0. ^ "Lesotho : Constitution and politics". The Commonwealth. 4 October 1966. Retrieved 10 January 2016. ^ Maud, Sir John (1970). "Lesotho". World Book Encyclopedia. 12. Chicago: Field Enterprises. p. 180b. ^ "About Lesotho". Government of Lesotho. Archived from the original on 30 January 2016. Retrieved 7 January 2016. ^ "Lesotho: History". Commonwealth of Nations. Commonwealth of Nations. 2016. Retrieved 7 January 2016. ^ "Constitution of Lesotho". Constitute. Constitute Project. Retrieved 7 January 2016. ^ Mather, Keith G. (1970). "Morocco". World Book Encyclopedia. 13. Chicago: Field Enterprises. pp. 668–669. ^ "Morocco". The World Factbook. Central Intelligence Agency. 2015. Retrieved 7 January 2016. ^ "Constitution of Morocco". Constitute. Constitute Project. Retrieved 7 January 2016. ^ Kuper, Hilda (1970). "Swaziland". World Book Encyclopedia. 17. Chicago: Field Enterprises. p. 815. ^ Saxon, Wolfgang (23 August 1982). "KING SOBHUZA OF SWAZILAND DIES; REIGNED 82 YEARS". The New York Times. Retrieved 8 January 2016. ^ "Swaziland: History". Commonwealth of Nations. Commonwealth of Nations. 2016. Retrieved 8 January 2016. ^ Martin, R.C. (1970). "Canary Islands". World Book Encyclopedia. 3. Field Enterprises. pp. 133–134. ^ "Canary Islands". The Columbia Encyclopedia (6th ed.). Encyclopedia.com. 2015. Retrieved 8 January 2016. ^ "Statute of Autonomy of the Canaries". Organic Law No. 10/1982 of 10 August 1982 (in Spanish). ^ Pennell, C.R. (2004). "Ceuta". Encyclopedia of the Modern Middle East and North Africa. Encyclopedia.com. ^ Maddy-Weitzman, Bruce (2004). "Melilla". Encyclopedia of the Modern Middle East and North Africa. Encyclopedia.com. ^ "Statute of Autonomy for the City of Ceuta". Organic Law No. 1/1995 of 14 March 1995 (in Spanish). ^ "Statute of Autonomy for the City of Melilla". Organic Law No. 2/1995 of 14 March 1995 (in Spanish). Ceuta is an 18.5 km2 Spanish autonomous city on the north coast of Africa, separated by 14 km (9 mi) from Cadiz province on the Spanish mainland by the Strait of Gibraltar and sharing a 6.4 km (4 mi) land border with M'diq-Fnideq Prefecture in the Kingdom of Morocco. It lies along the boundary between the Mediterranean Sea and the Atlantic Ocean and is one of nine populated Spanish territories in Africa and, along with Melilla, one of two populated territories on mainland Africa. 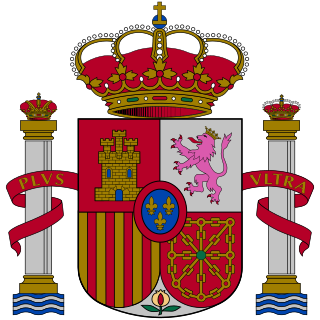 It was part of Cádiz province until 14 March 1995 when both Ceuta and Melilla's Statutes of Autonomy were passed, the latter having been part of Málaga province. Eswatini is an absolute monarchy with constitutional provisions and Swazi law and Custom. The head of state is the king or Ngwenyama, currently King Mswati III, who ascended to the throne in 1986 after the death of his father King Sobhuza II in 1982 and a period of regency. 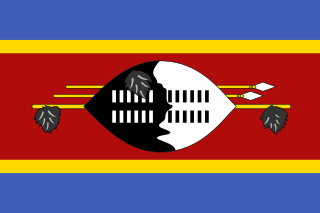 According to the constitution of Eswatini, the king and Ingwenyama is a symbol of unity and the eternity of the Swazi nation. By tradition, the king reigns along with his mother or a ritual substitute, the Ndlovukati. The former was viewed as the administrative head of state and the latter as a spiritual and national head of state, with real power counterbalancing that of the king, but during the long reign of Sobhuza II the role of the Ndlovukati became more symbolic. The king appoints the prime minister from the legislature and also appoints a minority of legislators to both chambers of Libandla (parliament), with help from an advisory council. The king is allowed by the constitution to appoint some members to parliament for special interests. These special interests are citizens who might have been left out by the electorate during the course of elections or did not enter as candidates. This is done to balance views in parliament. Special interests could be people of gender, race, disability, business community, civic society, scholars, chiefs and so on. The Senate consists of 30 members, of which some are appointed by the king on recommendation of the advisory council and others elected by the lower house. The House of Assembly has 65 seats, 55 of which are occupied by elected representatives from the 55 constituencies around the country, 10 appointed by the king on recommendation of the advisory council and the attorney general is the ex-officio member. Elections are held every five years. Artifacts indicating human activity dating back to the early Stone Age have been found in the Kingdom of Eswatini. Prehistoric rock art paintings date from c. 25,000 B.C. and continuing up to the 19th century can be found in various places around the country. The plazas de soberanía are the Spanish sovereign territories in North Africa. These are separate pieces of land scattered along the Mediterranean coast bordering Morocco. The name refers to the fact that these territories have been a part of Spain since the formation of the modern country (1492–1556), and are distinguished from African territories obtained by Spain during the 19th and 20th century. The Swazi or Swati are a Bantu ethnic group of Southern Africa, predominantly inhabiting modern Eswatini and South Africa's Mpumalanga province. The Swati are part of the Nguni family that can be archaeologically traced in East Africa where the same tradition, beliefs and cultural practices are found. The Swati share a unique experience, culture and Royal lineage. This lineage is exclusive to the inhabitants of Eswatini, even though there have been more Swazi people that have moved to South Africa and the United Kingdom in the 20th century. The original inhabitants of Eswatini no longer reside in Eswatini as a majority population while some remain in the land. The Swazi people and the Kingdom of Eswatini today are named after Mswati II, who became king in 1839 after the death of his father King Sobhuza who strategically defeated the British who occupied Swaziland. The Kingdom of Swaziland was a region occupied by the San people of Southern Africa and the current Swazis came in from North Eastern regions through to Mozambique and eventually Swaziland in the 15th century. Mixtures with the San people and other Nguni tribes occurred. Their royal lineage can be traced to a chief named Dlamini I; this is still the royal clan name. About three-quarters of the clan groups are Nguni; the remainder are Sotho, Tsonga, others North East African and San descendants. These groups have intermarried freely. There are slight differences among Swazis as a nation with varying features and skin tones yet Swazi identity extends to all those with allegiance to the twin monarchs Ingwenyama "the Lion" and Indlovukati "the She-Elephant". The dominant Swati language and culture are factors that unify Swazis as a nation since there is no other language spoken except for English. Sobhuza II, KBE was the Paramount Chief and later King of Swaziland for 82 years and 254 days, the longest verifiable reign of any monarch in recorded history. Sobhuza was born on 22 July 1899 at Zombodze Royal Residence, the son of Inkhosikati Lomawa Ndwandwe and King Ngwane V. When he was only four months old, his father died suddenly while dancing incwala. Sobhuza was chosen king soon after that and his grandmother Labotsibeni and his uncle Prince Malunge led the Swazi nation until his maturity in 1921. Sobhuza led Swaziland through independence until his death in 1982. He was succeeded by Mswati III, his young son with Inkhosikati Ntfombi Tfwala, who was crowned in 1986. Lobamba is the traditional, spiritual, and legislative capital city of Eswatini, seat of the Parliament, and residence of the Ntombi, the Queen Mother. Mswati III lives about 10 kilometres (6.2 mi) away at the Lozitha Palace. 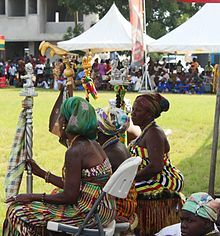 The King and Queen Mother participate in annual December and January Incwala ceremonies and August and September Reed Dancees at the Royal Kraal. The African Union covers almost the entirety of continental Africa and several off-shore islands. Consequently, it is wildly diverse, including the world's largest hot desert, huge jungles and savannas, and the world's longest river. In recent times, Morocco–Spain relations have been friendly though intermittently discordant. This article lists the monarchs (Ngwenyamas) of Eswatini.